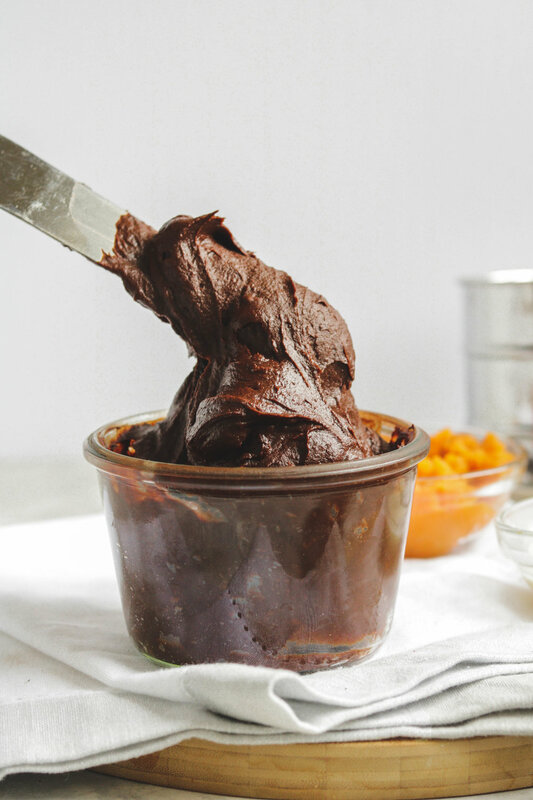 Rich, creamy and decadent, this is truly The Best Healthy Vegan Chocolate Frosting! 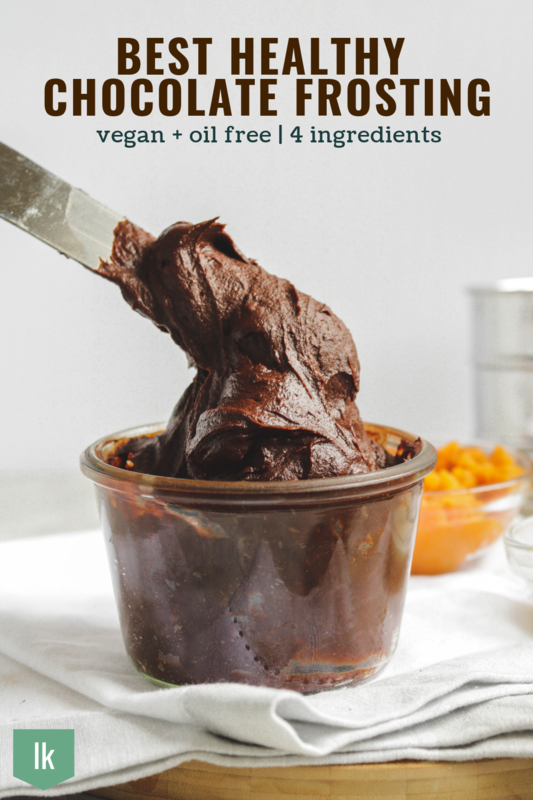 It’s made with just 4 plant based ingredients and couldn’t be easier to make! Vegan & completely free from gluten, oil and refined sugars. 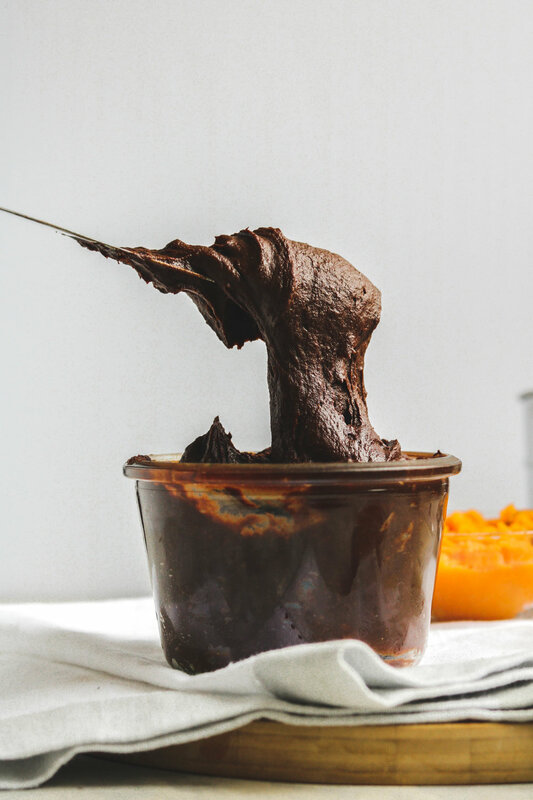 Everyone needs a good chocolate frosting recipe to keep in their back pockets. Let me tell you friends, this is the one to keep! Not only is it rich, decadent and silky smooth but its actually healthy. You can spread over anything and everything! It’s even healthy enough to eat it by the spoonful 😉. Even better? It comes together so easily, all you do is throw everything into the blender! 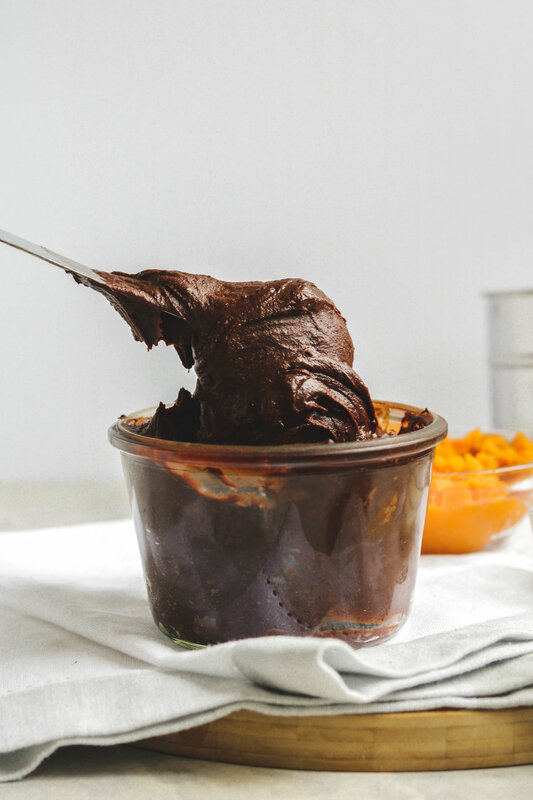 What makes this Chocolate Frosting so special? it’s made out of sweet potato! I have found that baking the sweet potatoes whole produce the best consistency in terms of smooth and richness. If cooking in the microwave, we sure to “steam” it by wrapping it with a wet paper towel or doing it in a steamer glass to keep moisture to prevent it from drying out. To make your own DIY coconut sugar powdered sugar, blend 1 c of coconut sugar + 1 tbsp of corn starch in a high-speed blender until powdery. 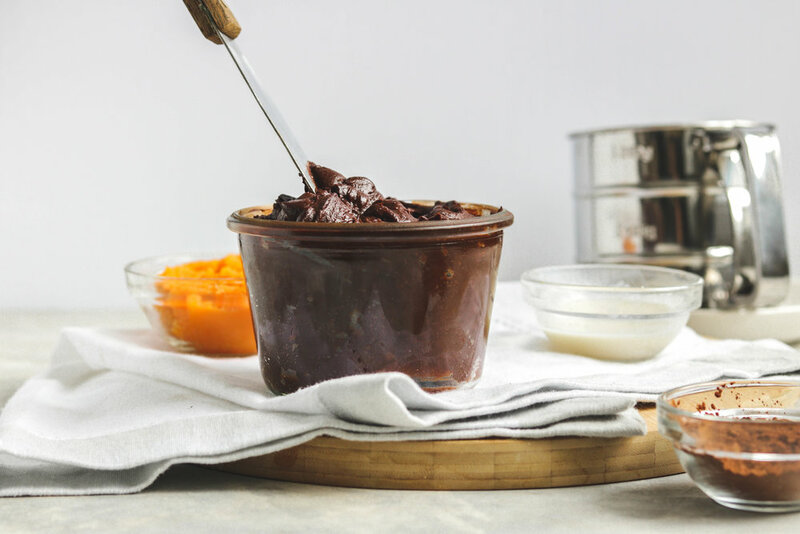 If you recreate this 4 Ingredient Chocolate Frosting please share it and let me know what you think by tagging me on Instagram @lisakitahara, I love seeing all of your tasty recreations!